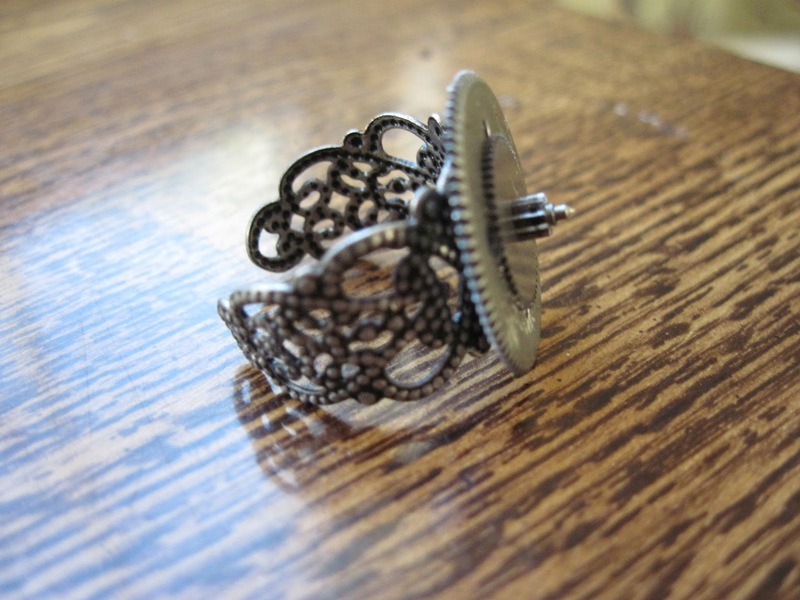 Black Ink and Black Cats: Wires and Clasps: Jewellery Making! 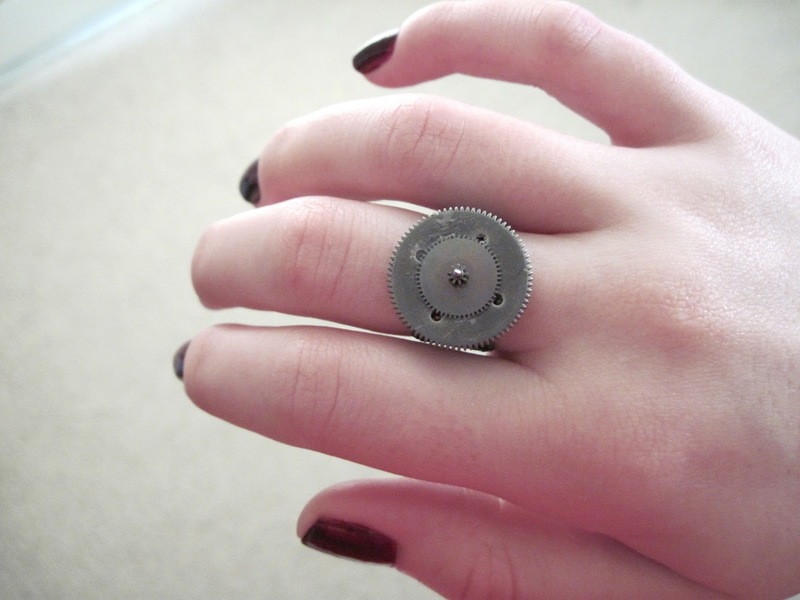 I've always wanted to make jewellery, but have no experience with it. I do plan on taking some classes at my university, but until then I've been dabbling in it on my own. 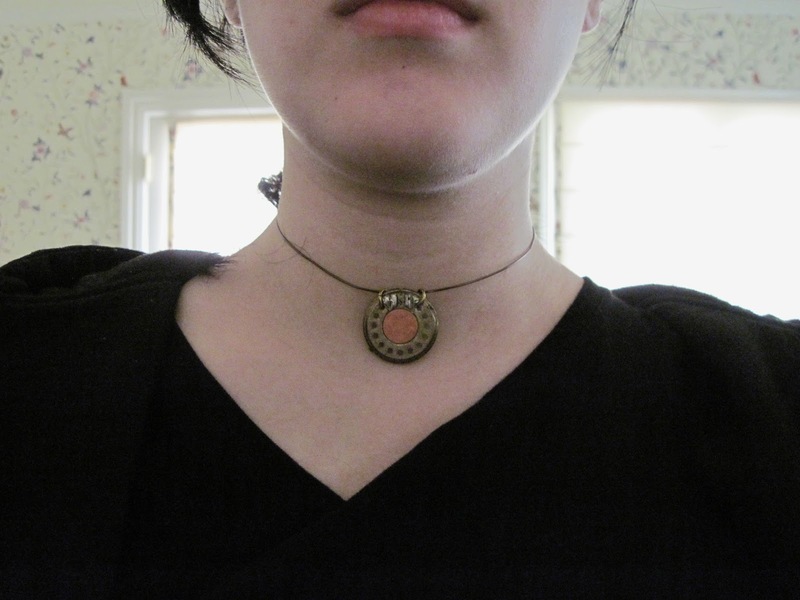 My sister used to make jewellery so I know some basics already. 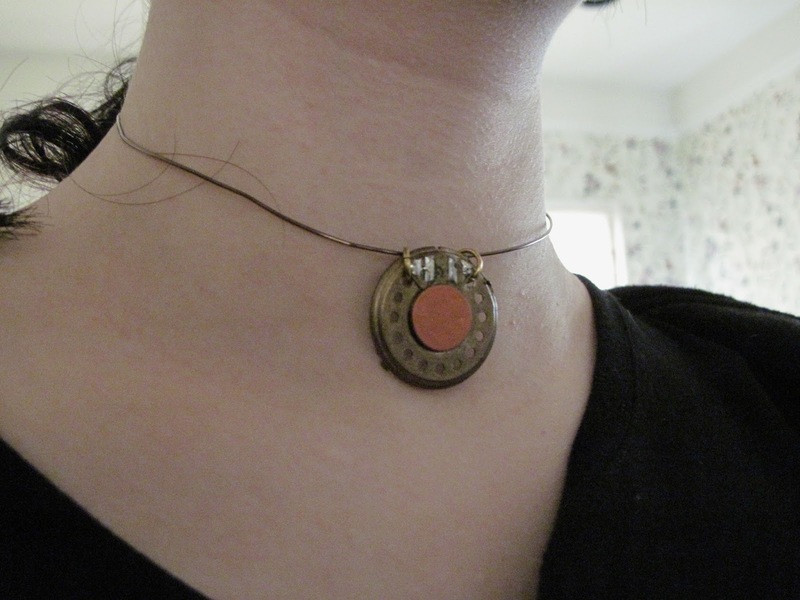 The theme of my jewellery is steampunk. I've always really enjoyed taking random things apart (not much luck in putting them back together...) and I find the innards of machinery and electronic devices beautiful. I also love steampunk (probably since it combines scifi, Victorian era/history, and machines all together) so that seemed to be a great fit. I've only made a few pieces right now (some are much better than others) but if I make enough pieces I might open up an Etsy store and see how that goes. All the pieces I make are one of a kind (at least for now) and handmade. 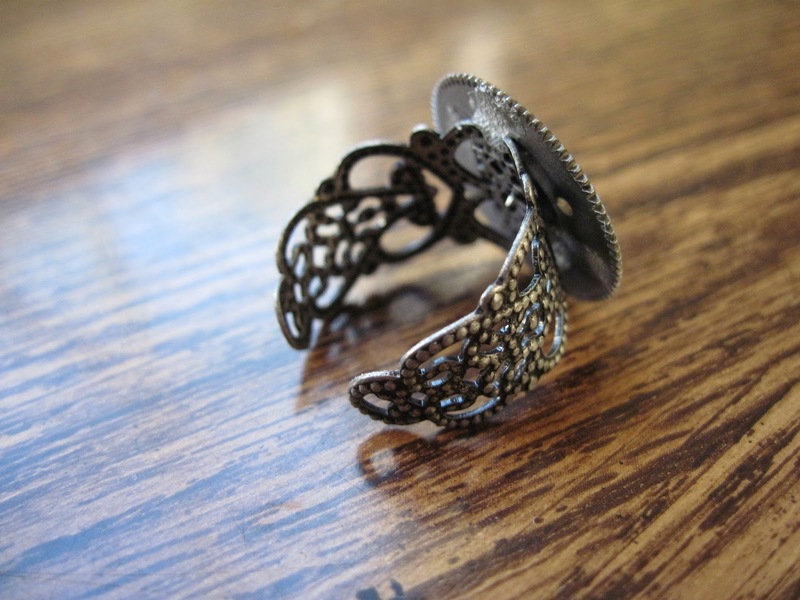 The jewellery is either metal or plastic (which I paint in metallics, sometimes I paint the metal to highlight and diversify). This is the first piece I made. It's ok, but not my favourite. 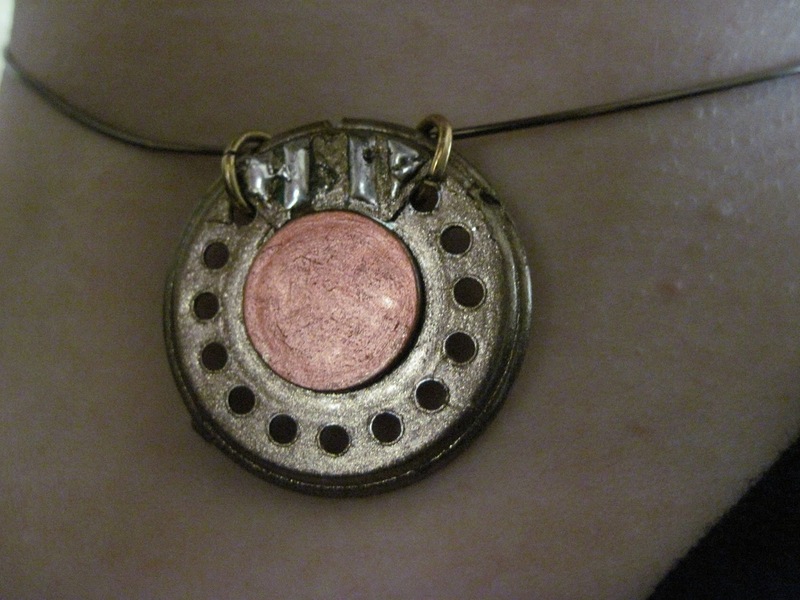 The pendant of the necklace is a speaker that I removed from some crappy portable speakers I had. My favourite piece so far. 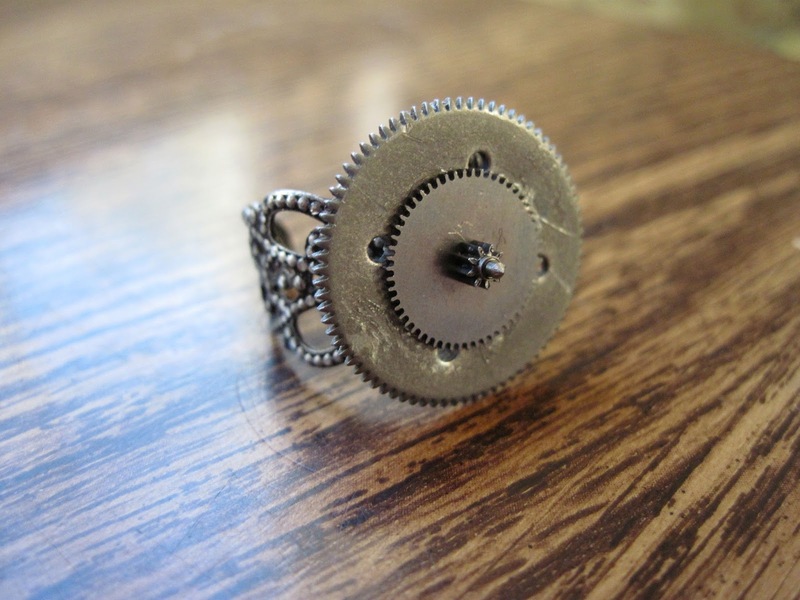 It's a ring made from two gears I found while breaking apart a music box. The ring base is from Michael's. 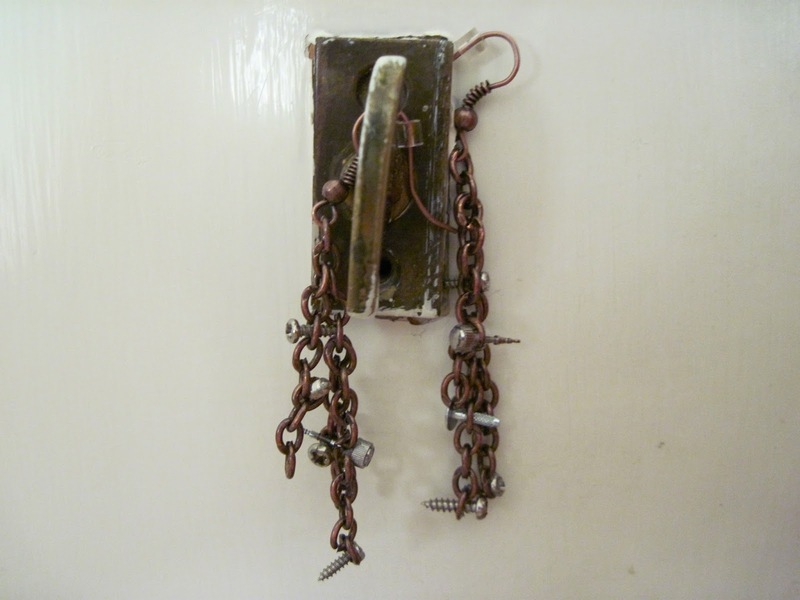 These earrings are just three chains I linked together and stuck screws into. 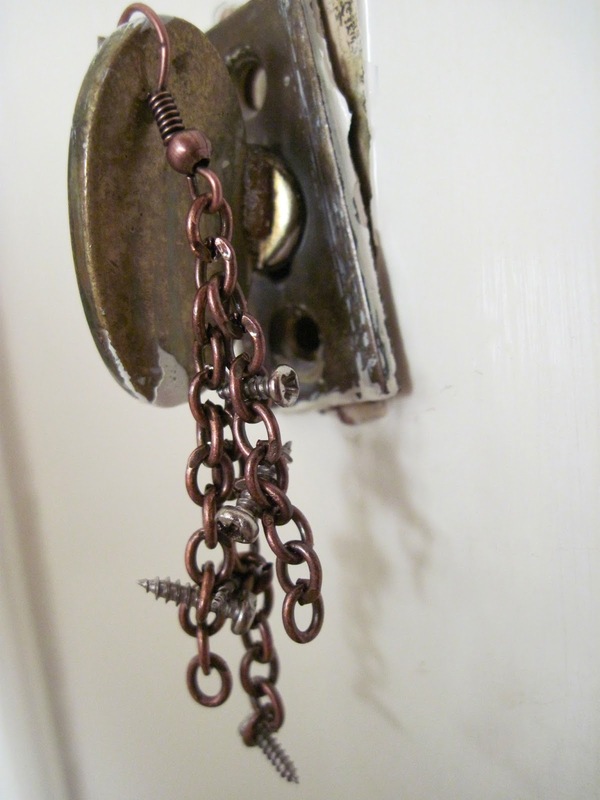 I had all these extra screws lying about and didn't know what else to do with them. I think these turned out quite well. I absolutely love chokers so I made this. I love it a lot. 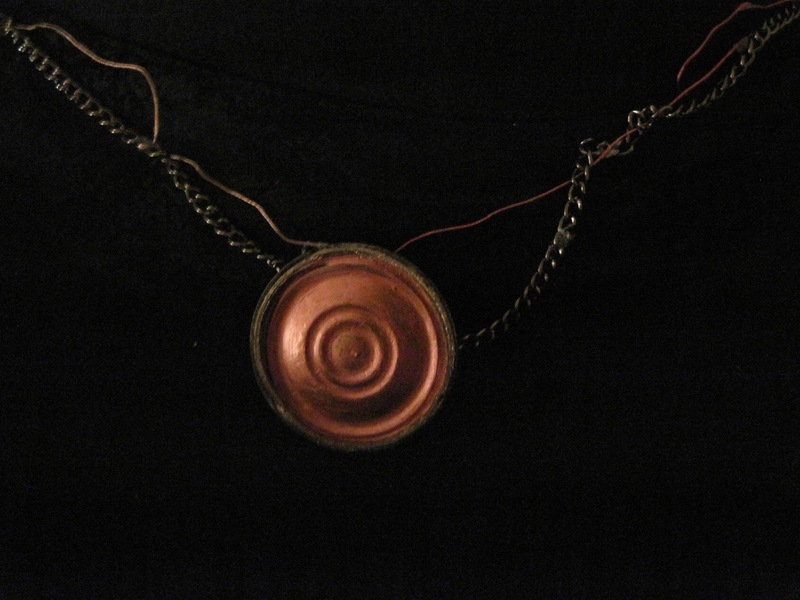 Like the other necklace, this is made from a speaker (same set of speakers, actually), except I removed the dust cap on this one. So that's my jewellery! What do you all think? Esty worthy? the industrial look of those pieces is facinating, the first and last are really unique! 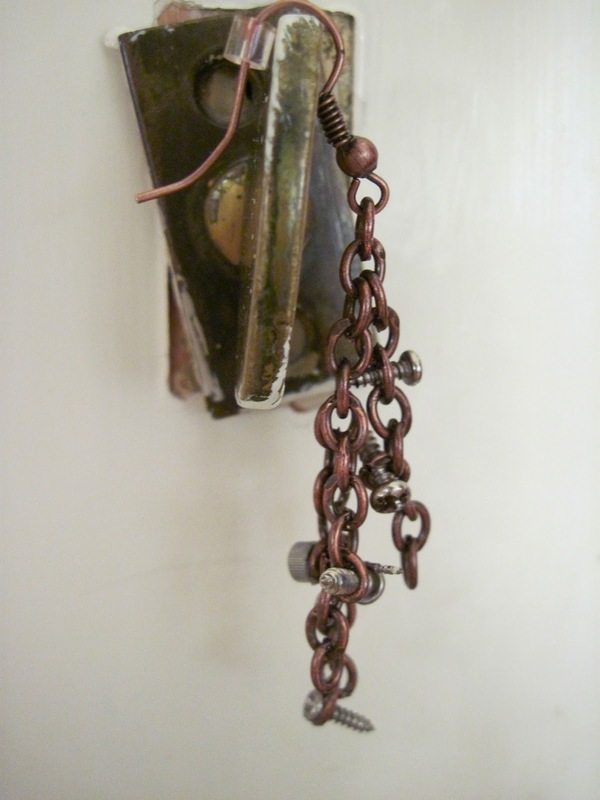 I love Steampunk, it has been a huge influence and inspiration on my life! 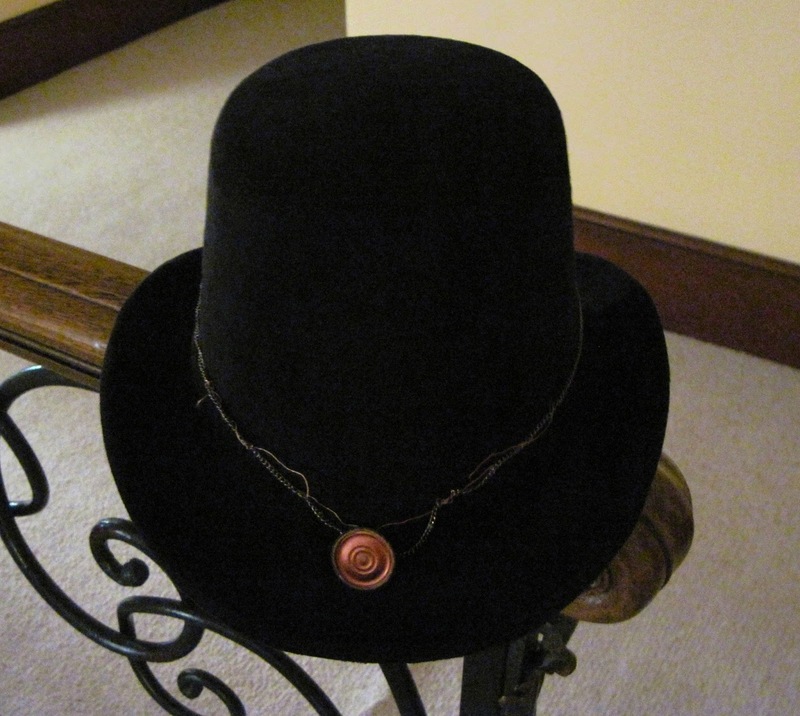 Steampunk and Gothic are my biggest writing inspirations, too! They have been a great influence for me too, both in writing and for life in general. I love the idea of finding and appreciating unusual beauty, whether it's a withering flower, an old headstone, or a broken machine. These are soooooo adorable! So jealous! 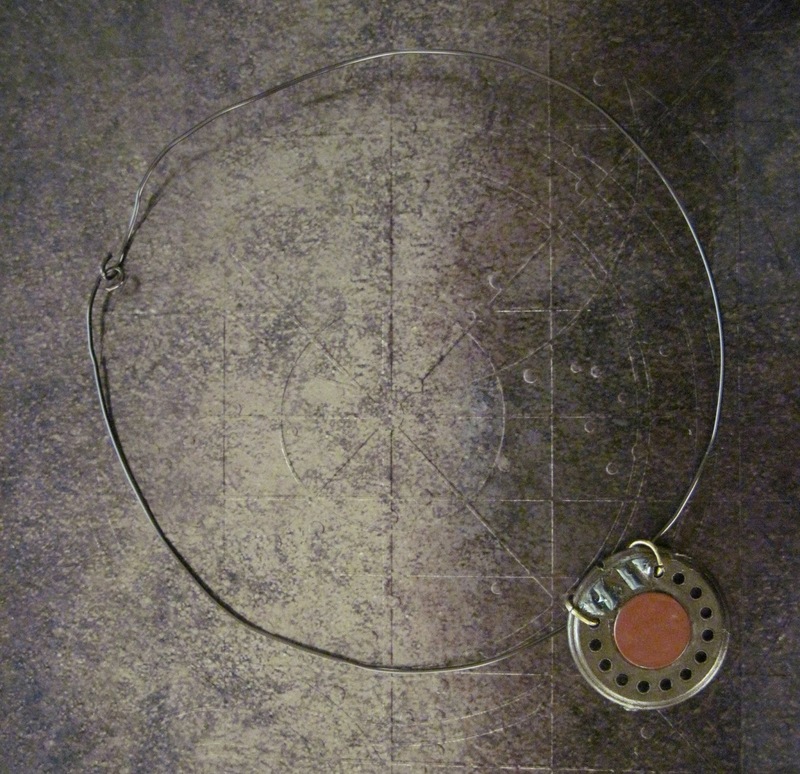 I've always wanted to make jewelry, but don't have the tools.